Natural Resource generally schedules one Saturday a month, excluding the hot summer months of June-August. Work activity consists of trail maintenance, fence removal/installation, light construction and area rehabilitation. Volunteers need to be able to hike into damaged areas with tools and other equipment. 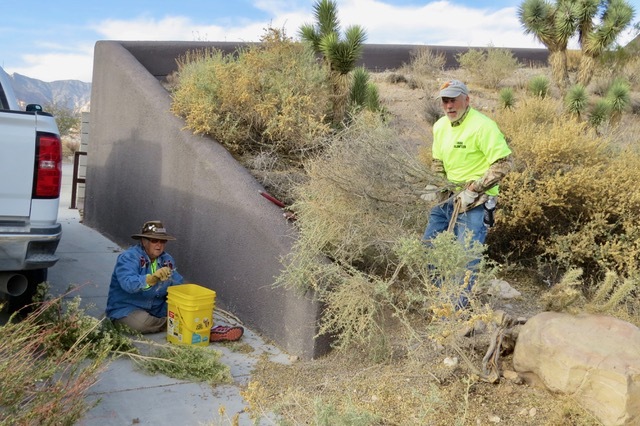 The group also volunteers at Red Rocks three annual volunteer events (Red Rock Day, National Public Lands Day and Make a Difference Day) serving as volunteers and team leads. Contact Wyatt Mulvey at nr@friendsofredrockcanyon.org.